I was lucky enough, while living in Denver, to have found (and attended) The Music Train’s music classes for kids. Raines and I had tried out several other music classes (Music Together, etc), but had never found ones that we loved. Raines, for example, draws a line at “shaking his sillies out” (even at age 2) and I could only handle so many renditions of “wheels on the bus” before wanting to throw myself under said bus. Enter my friend Anya Jane and the Music Train. From the first class, we both knew we had found something special. Anya and her guitar bring an energy (and, honestly, a cool factor) to music classes that is simply unparalleled in the world of kid’s music classes. Each of her music sessions are themed (we’re talking serious music genres: rock, jazz ‘n blues, latin, irish folk, etc.) and she uses a mix of regular adult songs that also appeal to kids (thank you for that, Anya)…as well as kid’s classics, re-done. I no longer daydream about playing in traffic when listening to her rendition of Wheels On the Bus done to a rock beat and (I think?) electric guitar. 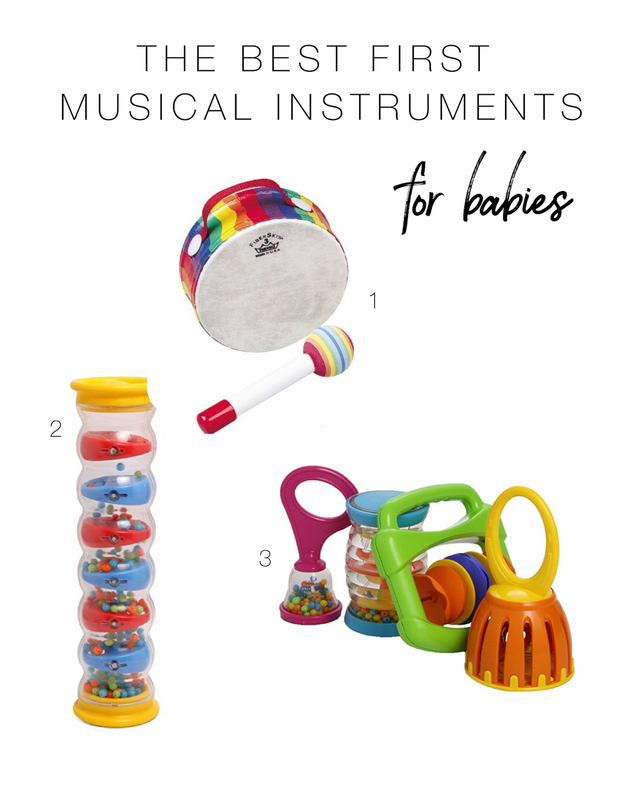 There are maracas and drums, kazoos and whistles, cow bells and keys and oh so many toy guitars…so what do you get your little one and at what age so that they can find their musical mojo? Bar none, the best musical gift you can give your kids is YOU! Whatever, right? You only sing when the car windows are securely sealed, or in the shower when the neighbors have split town. Fear not, your child will judge not (at least until they hit 4th grade). Regularly attend family music classes with your child! This is probably the number one thing you can do with your child from infant through pre-school. Listen to a variety of music by various artists, genres and cultures. Talk about the kind of music you are listening to or dancing and singing along to. If you can hear a specific instrument, point it out, imitate the sound. See if they can imitate it, too. 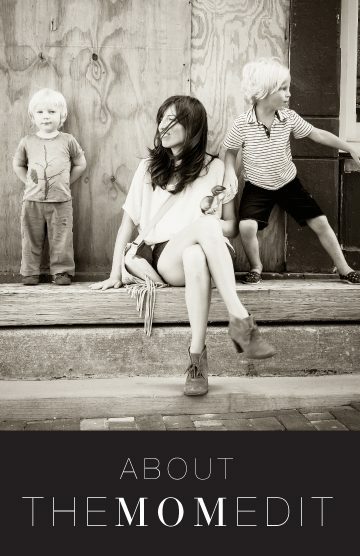 Sing to and with your child…. in the car, when giving a bath, while putting to sleep, while cooking dinner. Sing your favorite Ramones song or Twinkle Twinkle or a song you learned in music class. Dance in the living room. Hold your little one and move with them. Rock out or gently cradle and sway. 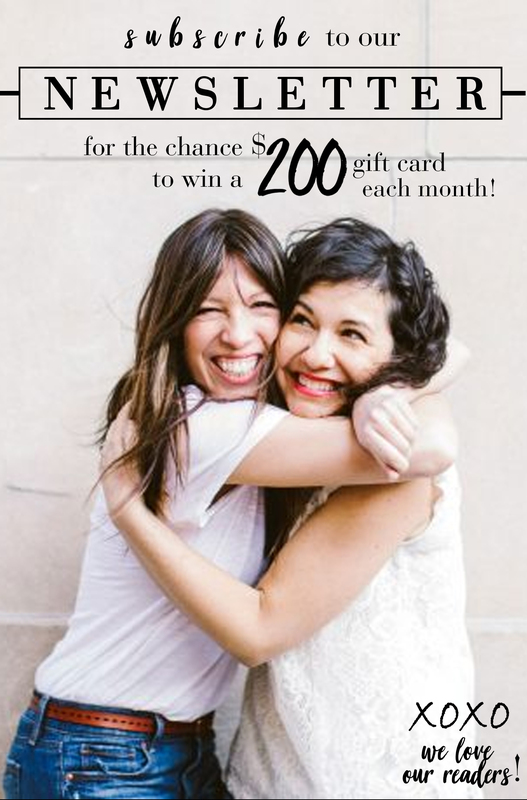 See live music together, attend family-friendly concerts. This gives kids a chance to see that music is made by people, not machines. Point out the different instruments. Hold a Jam Session. During my classes we dump out a big basket of rhythm instruments onto the floor, take a seat and let loose. You can create a basket like this at home! Put on some favorite songs and watch the magic begin. This is an awesome playdate idea. Play an instrument. Dust off the guitar that’s been sitting in its case. Strum the few chords you know. Don’t know any? Learn a couple! You can play over 1000 songs if you know only 3 chords! Can you do what I do? A game of imitating silly sounds (high, low, soft, loud, etc), claps, , stomping, animal noises. Keep it really simple for babies and younger ones. 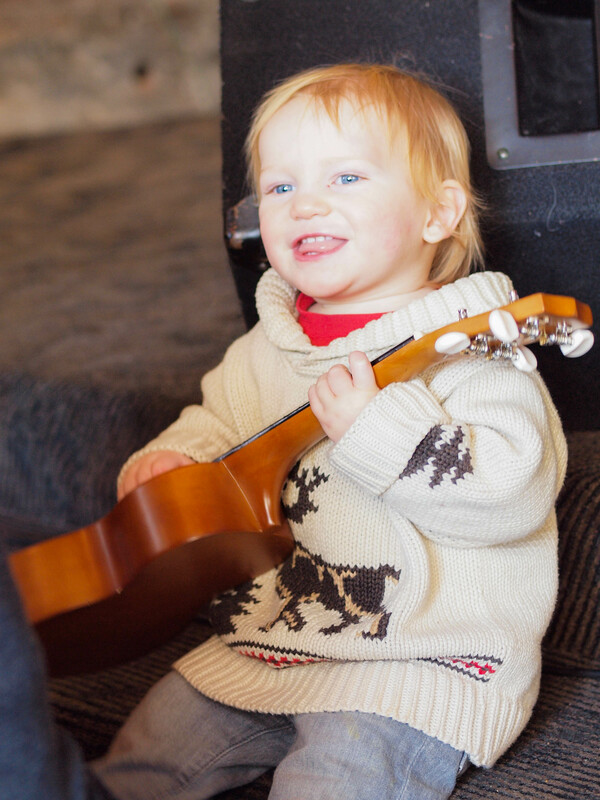 So…what do you get your little ones and at what age so that they can ﬁnd their musical mojo? 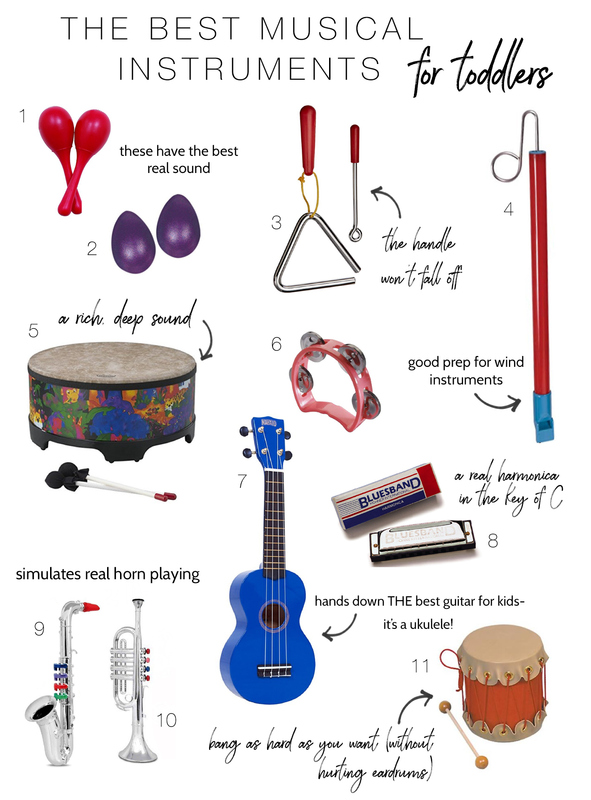 Here is a guide to several high quality and durable instruments that will be sure to delight your kiddos and inspire creativity – without driving you crazy!! These are all mouth friendly. 2. Horner Rainmaker– This is a fun one to show your little ones… little beads cascade through a clear tube creating the sound of rain, or something close to it. 3. Remo Baby Drum – Excellent quality and sound, small enough for tiny hands and an adorable gift, too! 1. LP Rhythmix Chick-itas – Just like the egg shakers but with a handle, so they become a mini maraca. Same great quality and sound. I like them because they are so easy to hold and fun to shake. 2. LP Rhythmix Egg Shakers – My favorites are made by LP Rhythmix because they made such a great sound and are non-toxic. In fact, they are directly from free range chickens. SUGGESTED USE: Play along to I Know a Chicken By Laurie Berkner. We pretend like we are musical chickens and lay the eggs then play and sing along. It’s a cool bluesy song that inspires lots of silliness and bawking. 3.LP Rhythmix Triangle – Another score for LP Rhythmix. The handle stays on (all the other brands I’ve tried it always falls off and runs away with my socks). It makes a lovely sound and the handle and striker are easy to grip. 4. Slide Whistle – It plays like a trombone. You can play any song or make funny sound effects. 5. Remo Gathering Drum – You can call the village to dinner with this one! This is a must-have drum with a rich variety of sound, depending on mallet, hand or finger actions. It’s designed based on ceremonial drums used in many cultures. REMO Kids Drums have received the prestigious Oppenheimer Best Toy Award for product quality. Unlike the Tymptone Tom Tom, this one makes some noise, but it’s a rich, deep sound. You may just find you burnt dinner because you’ve lost yourself in a dance trance! The cool thing about this drum is every age loves to play, so it will keep its interest for many years. Room for up 4-6 players (depending on person size), so it makes a fun play date activity. There are also smaller versions of this one, as well as bongos and congas. SUGGESTED USE: Put the drum and the mallet in front of your child. It’s a primal instinct to bang it! Try it slow, fast, loud, soft, make the sound of rain with finger tips, scrape for the wind and bang for the thunder. I have a trick to get everyone to stop banging….band loudly together for 10 seconds then throw your arms up in the air with a big whoooooooop sound and freeze there. Then repeat. 7. Mahalo Ukulele U-50g – It took me a while to find a really solid starter guitar for the toddler/preschool set. I searched high and low and continued to find only junk. Mostly they sounded bad, fell apart easily and were lacquered with toxic smelling paint. After more research, I found what I was looking for! Mahalo makes a great guitar, except for one minor detail…it’s actually a Ukulele! Which simply means that it’s already a perfect size for little hands, and a solid instrument. SUGGESTED USE: Remember that this a toy for the kids. At this age it’s about role playing, strumming, holding and building a relationship with the guitar. When they are in elementary school start thinking about lessons, but until then let them play in their own way. Also, you don’t need to worry about keeping it in tune, they aren’t going to bust out Stairway to Heaven anytime soon. 8. Harmonica by Hohner – In the key of C, has 10 holes and 20 reeds, a plastic body and stainless steel cover. Many instruments need breath in order to create sound (including our voice). This is a fun one that uses breath to make the music and helps young ones make a connection between the two. SUGGESTED USE: Model the playing technique for them. Have kids pretend to blow out a candle or a bubble then have them put their lips around the instrument and blow the same way. They’ll be delighted once they realize they can make the sound. 9 & 10. Toy Horns by Botempi – I just recently purchased these for a Jazz class I taught for infant-through-4 year olds. They were a big hit with the toddlers, preschoolers and parents. They’re made by an Italian company with real keys that are color-coded and simulates real horn playing (you can play songs printed on the back of the box). The sax even has a full scale. I highly recommend any of them. SUGGESTED USE: Remember that at this age is more about the experiential and role playing. Find a great Jazz song with horns in it, like Ella Fitzgerald’s, Take the A-Train from her Pure Ella album or At the Woodchopper’s Ball from the Swing Party 2000 album. Both can be found on Amazon or Itunes, and play along to it. Have one person on maracas, another on the drum and have the kids take horn solos. 11. Tymptone Tom-Tom: An amazing drum, an absolute favorite! Children can play as hard as they want without causing hearing damage! It’s a little pricey but it’s a great quality instrument. But THE most important thing to know is that the key to a child’s music growth and development during these early years is the active participation of a parent or caregiver – regardless of their musical ability! A little dose of music every day goes a long way to a life-long love of music. Anya, I cannot thank you enough. This list is wonderful, and the usage suggestions are exactly what we needed for an extra dose of inspiration!! We love The Music Train too! My son and I have been going since he was about 7 months old and it’s still one of our favorite activities to do together now at 2 1/2. Anya creates a musical experience like any other and makes music fun and a part of our daily lives. Your write up describes exactly how I feel so it was fun to read that another mama is having the same experience. Yay for Anya! We HAVE that saxophone. It was his “big brother” gift this summer. We thought he’d want it since he was pretending everything in the house was a saxophone. But then 2 days before the baby was born (and it was stashed away waiting) he said, “I need a REAL saxomaphone”. Good timing! He loves it and it works well, even for a 2.25 year old. The mouthpiece will break off if you decide it use it as a jackhammer though. But no worries, it can be superglued back on. I’m also feeling very smart since my son has almost every single instrument listed…. (and my son will regularly say things out in public about the music playing, “I hear something, I hear a trumpet!” someone has inherited his dads musical genes)…….but I had forgotten the slide whistle! We will be jamming to groove is in the heart on Christmas! I’m singing new songs to my little one today thanks to this post, branching out from the same old 3-5 songs. I had never thought about music as being another language that he’ll learn. Great recommendations, perfect for the season. Thank you!